Samantha Poblete is a ravishing Filipino beauty who secured the spot in the list of finalists of Top 40 Binibining Pilipinas 2019. The 56th edition of this competition is going to be fierce this time as many famous beauties have made a comeback for Binibining Pilipinas 2019. The Philippines takes pride as it is the current titleholder of the two pageants i.e. Miss Universe and Miss Intercontinental under the reigning queens Catriona Gray and Karen Gallman respectively which got crowned from the notable pageant of Binibining Pilipinas 2018. In the competitive list of finalists, Samantha Poblete aka Sam Poblete has made a place for her. The diva should be commended for her courage, confidence and determination to challenge her limits and prove her worthiness as a potential beauty queen. 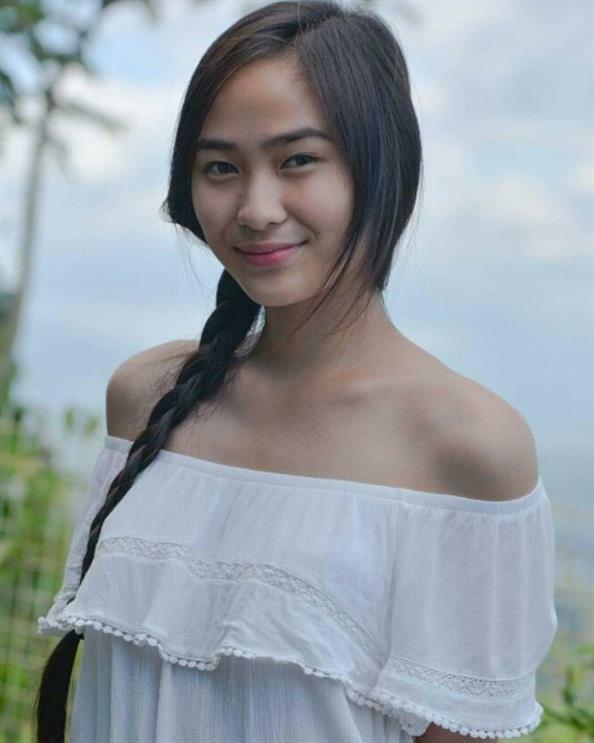 The young Filipina beauty comes from and a current resident of the beautiful city of Silang, Cavite. She graduated with a degree in Civil Engineering from the De La Salle University – Dasmariñas. The diva stands as an example of an excellent blend of beauty with brains. Among the competitors of Binibining Pilipinas 2019 who carry some experience in pageantry, Samantha too can prove to be a tough competitor as she is not a complete stranger to the pageant world. The ravishing diva held the title of Miss Silang 2016 and won the title of the first runner up Miss Premier Plaza 2016. In this pageant along with the title of the first runner up, Samantha won a couple of subsidiary titles which include Best in Long Gown, Best in Swimwear, Miss Photogenic etc. These small wins in her kitty can undeniably help in contributing a big win. These small wins cannot be undermined. She truly believes in the power of dreams. She thinks if one can dream, one can achieve it. The young Filipina also follows the teaching of famous personalities like Nelson Mandela. Apart from her pageantry, the diva is completely family oriented and her world revolves around her friends and family. She is a beach buff and is very fond of the sea. The beauty likes to spend her free time on the beach enjoying warm sun and sea breeze. She also likes to travel and explore new places while enjoying delicious food unapologetically. The 22-year-old has awe-inspiring beauty. She is blessed with beautiful Filipina features. With her dark hair, perfectly shaped lips and an adorable smile, she stands out in the crowd and appears confident and radiant both on and off the camera. Angelopedia wishes Samantha Poblete all the luck for Binibining Pilipinas 2019 and may she achieve all her dreams!